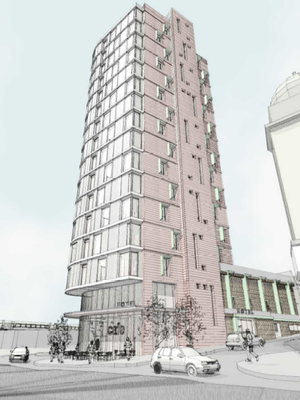 Although the application for the hotel was rejected last night the developers are now appealing to the Mayor. Any applicant has the right to appeal a decision, which will normally go to the planning inspectorate. This is unusual in that it’s not, technically, an appeal, but instead a request that the Mayor takes responsibility for the decision (and presumably, having taken responsibility, approves it). I’ll also confess I don’t really understand the motives. The usual justification for asking the Mayor to rule on an application is because it impacts on his wider London strategies. It’s hard to argue that London is in desperate need for more hotel capacity. You can argue that Wandsworth needs more capacity – but that’s a Wandsworth, not a London, matter. Another reason might be that the application has implications for more than one borough. Again, it’s hard to see how, the site is some miles from the nearest border with Lambeth, and the size means it’s unlikely to have any effect on any of our neighbours. I would hope this doesn’t get anywhere with the Mayor. The developers best way forward is to work with the council to come up with an acceptable scheme, rather than touting the application around in the hope someone will eventually say yes.